SLIKstitches: At last a sewing day! 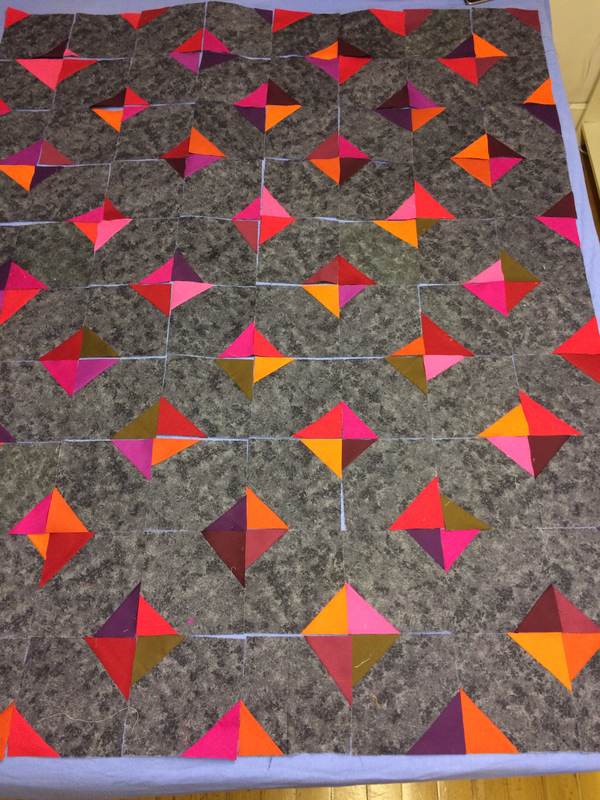 A happy day today: I finished sewing triangles onto grey squares, and speed dated the blocks. I also got them clipped in place, so I can start sewing the strips together. 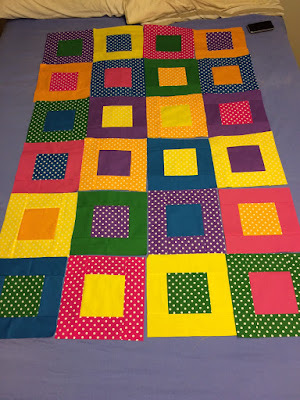 AND I started on my plain and spotty rainbow fabrics - the ones I got from the girls' boyfriends for my birthday. 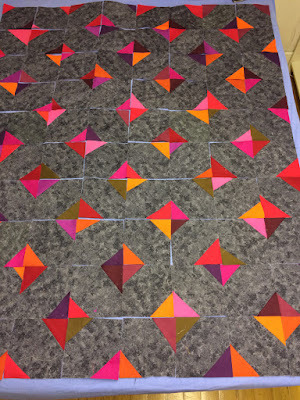 You're keeping the sewing going, both quilts look great but I love the grey and bright quilt top. Haven't used my machine since Christmas. Knitting and crochet have taken over for a while. They look lovely. Go on, force yourself to shop. You know you want to.